4.5 miles N on Hwy 3 from Mississippi bridge. Then west on Executive Acres Road 1.2 miles. Niemeyer's Rugged River Resort is a scenic family resort nestled on the banks of the beautiful Mississippi River. Their location takes you off the busy highways and into a relaxing environment surrounded by 100 acres of woods and water. 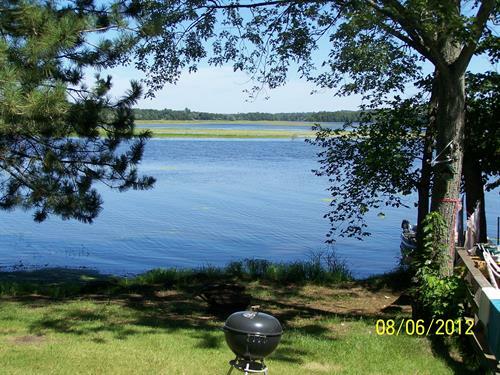 Once you've arrived, it's hard to believe they are only minutes from Brainerd. The Mississippi is our well kept secret, we have access to over 15 miles of river channel, bays, and back waters. The river is slow moving and the shoreline is relatively undeveloped, making it a great place to fish and canoe! Acoomodations include a private home rental that sleeps 16!. 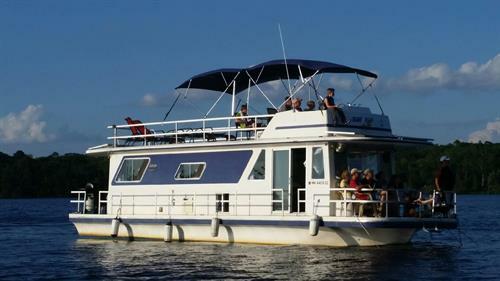 A houseboat, six cabins and 49 leased seasonal RV sites as wells as a couple overnight RV sites. With boat and motor rental, bird feeders throughout the resort, and over 100 acres to explore, you will experience nature as never before. We invite you to join us for a relaxing getaway, sitting on the deck, watching a campfire, catching fish, walking the trails, or taking a dip in their pool and hot tub. There are several yard games to play, and you'll be close to Brainerd and to the Paul Bunyan Trail. You can even bring your pets in all of their cabins! This is a great place to spend your vacation. For more information, visit our website or give us call! You have to hear this story!